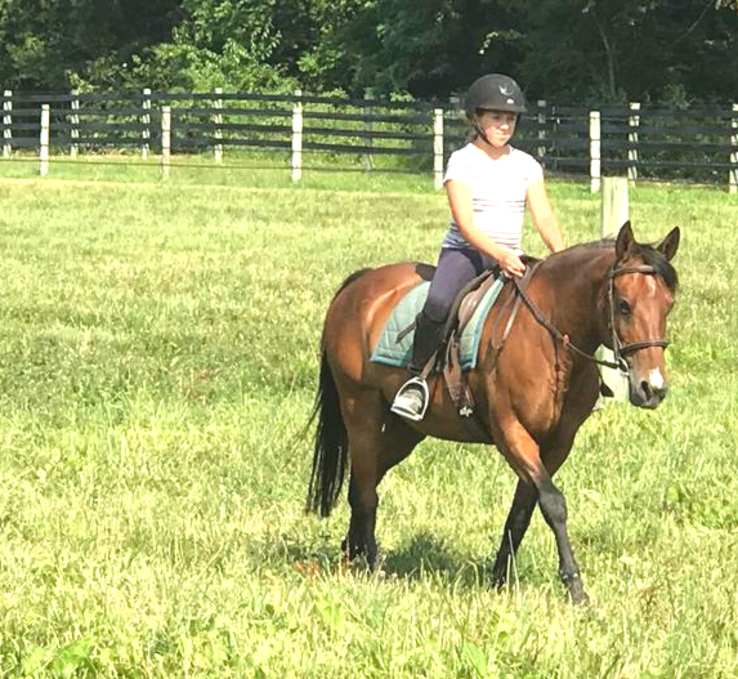 Heron Mead Equestrian Center at Heron Mead Farm, Inc.
Heron Mead Equestrian Center has WEEK-LONG DAY CAMPS for all levels of riders that prioritize SAFETY, FUN, and EDUCATION! 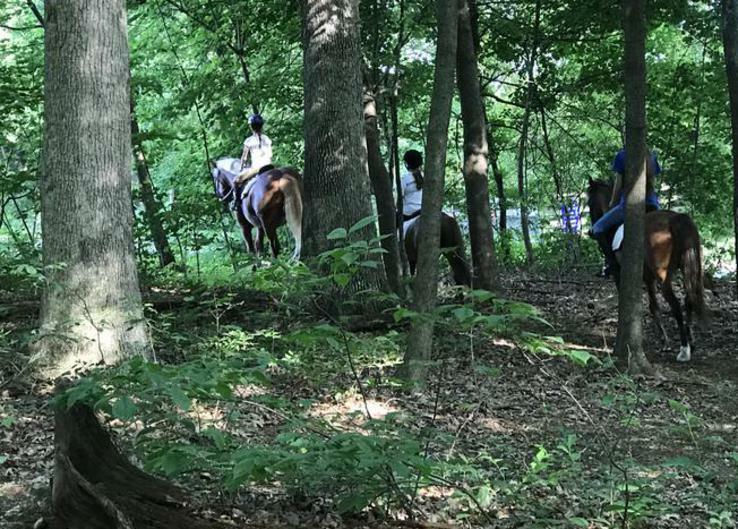 ALL CAMPERS receive daily excellent riding instruction on correct position and technique in private or small group (only 2-4 riders!) lessons. steering and speed control at the walk and trot. 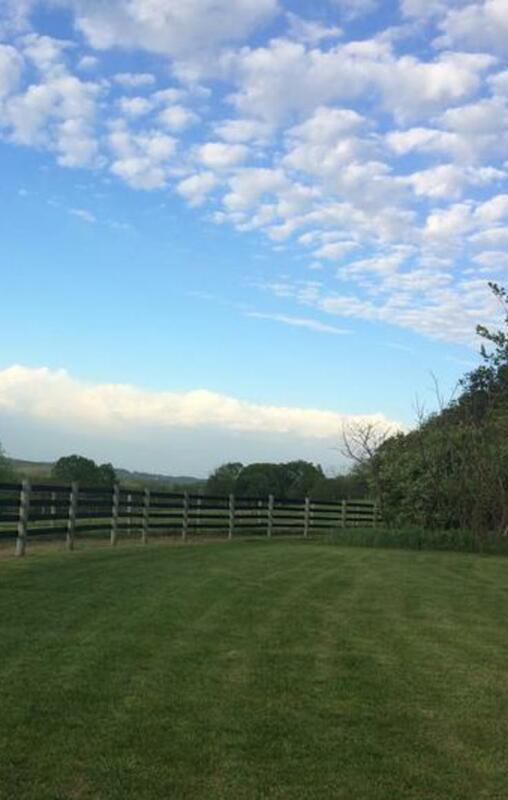 work on cantering, jumping, and riding out of the ring in fields and on trails. ALL CAMPERS attend HORSE CARE WORKSHOPS in a variety of topics appropriate for their age and experience. In between lessons and workshops, campers play games, eat lunch (campers pack lunches), and make crafts. 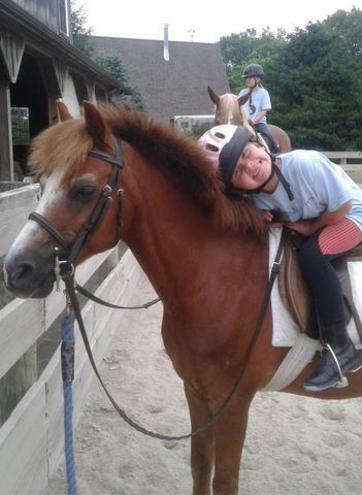 Heron Mead Equestrian Center has one-day camps for all levels of riders that prioritize SAFETY, FUN, and EDUCATION! 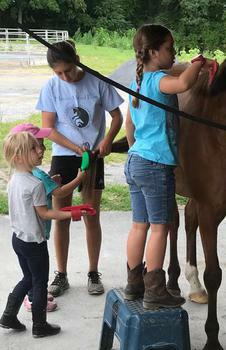 One-day campers get a riding lesson (private or group) and horse care workshops appropriate to their age and ability along with games & crafts. We have twins who attended a summer camp at Heron Mead for the 2nd year in a row and the smiles never left their faces from the time we dropped them off until pick-up. Heron Mead not only teaches children how to ride horses, but it provides a strong knowledge of horses, horse care, and horse etiquette. Kari and Savannah are fabulous and all of the helpers (camp counselors) really care about the kids. We look forward to more camp time at Heron Mead!